You want to fly high with your idea! Your project requires individual solutions and a high level of precision! You experience reliability and solutions to problems from a single source! Welcome to KEHL, one of the five leading companies in Europe for ground-based shoring construction. The story of success begins in 1975. 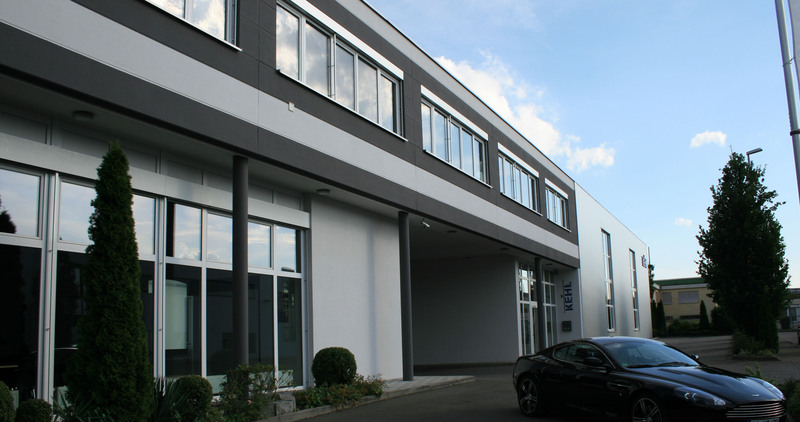 The 27-year-old made his dream a reality and founds Lehrgerüst und Schalungsbau GmbH located in Kirchheim unter Teck together with a companion. The company grows continuously until Willi Kehl decides to take the destiny of the company into his own hands. In 1990, he founds Kehl Traggerüstbau GmbH & Co. KG. By means of technical innovations, the company is able to establish itself on the market beyond regional borders. For the first time in the industry, Willi Kehl tests the use of modular steel building elements for heavy shoring construction with great success and by means of this, is increasingly able to realise large-scale projects. In 2002, his son Roland Kehl takes over the family-owned enterprise in the second generation. As an engineer with two degrees, he expands the company and additionally founds Kehl GmbH. To this day, he executes projects all across Europe with his teach of qualified employees. Thereby, Kehl GmbH takes over all aspects of engineering. The customer gets everything from a single source – and if required, in several languages. Nothing gets too difficult for us! We are KEHL, one of the five leading companies throughout Europe for ground-based shoring construction. 40 years of experience has made us into a specialist.